Until pure electric technology improves, we can look to traditional cars with internal combustion engines with high fuel efficiency/economy as a temporary solution or at least movement in the right direction. This series features some of the most popular and affordable of these such cars. Part 1 covered Toyota's 30mpg+ models; Part 2 covered Chevy, Dodge, GMC, and Buick; this post will continue the discussion. Considered a sub-compact car, the Honda Fit is a strange, small hatchback. I personally despise the Fit's design. However, its gas tank only fills to 10.6 gallons, so that means lots of fuel savings for those who drive the Fit. The Fit is clearly designed to compete with models like the Chevy Spark and Sonic and the Toyota Yaris. I can't personally attest to how well it does this, however, I will point out that the Fit's price tag is higher than Chevy's subcompact models. The hatchback body style is also popular among people who need to store large objects in their trunk, like a harp; one of my neighbors plays the harp and got the Fit because she needed to be able to drive it around without getting an SUV which has much worse fuel economy. Without exaggeration, the Honda Civic is one of the most popular, best-selling cars in America. I would venture to say that most Americans would list the Civic and the Corolla as two of the most universally reliable cars ever made. It is a small sedan driven by millions across the country. The Civic is a great combination of features, form, and function. Feature-wise, you can buy a base model at the bottom of its price range, or you can customize the interior to compare with an Acura model. Form-wise, the 2016 body style (as pictured) revolutionized the "affordable small sedan" category and, in my opinion, is far more attractive than the lagging 2017 Corolla body style. All this to say, if you need/want the space and the Civic isn't outside of your price range, buy this vehicle. Well, environmentally conscious car shopper, I am pleased to announce to you that the 2016 Honda Accord and newer models are in the 30+mpg club. I am beyond happy about this because the Accord is a reliable, affordable, incredibly popular mid-size sedan. Think of it as the Civic's older brother who is a sophomore in college. The Accord takes all the best parts of the beloved Honda Civic and adds some essential interior space and a considerable amount of trunk volume. To lend perspective, one of my friends and her mom drive (25 hours) from Texas to Florida every summer and manage to fit an entire summer's worth of clothes, hairdryers, straighteners, and whatever else girls pack on road trips in their 2011 Honda Accord. Its a comfortable size. Compare to the Chevy Malibu and Nissan Altima. Released in mid-2015, the HR-V is Honda's compact SUV... get the open trunk feeling and elevated chassis of a sedan without sacrificing fuel economy. With 185hp, the HR-V is a nice compromise between the Accord and the larger Honda CR-V SUV. Also, the HR-V boasts a (decent) towing capacity of 1,500 lbs so you can pull around your trailer full of Girl Scout Cookies. If you are one of those people who's just 'gotta have an SUV', the HR-V is a really good option, combining an affordable price point with great gas mileage. The CR-Z is Honda's compact car that is not supposed to look like a compact car. Having driven next to one of these before on the road in my Toyota Corolla, I can say that this car is small. Moreover, the CR-Z only has two passenger seats. This is the car you want if you were one step away from buying a Smart Car but realized Smart Cars aren't cool. I am honestly surprised by the CR-Z's low sales volume, however, attribute this to the fact that this compact car only seats two people. Still, if you don't need the extra passenger seats, the CR-Z is a cheap, highly fuel efficient vehicle with decent body styling. The only thing is, if the CR-Z looks like a race car to you, it isn't. It only has 130 hp... which, for its size is pretty good, but you're not going to beat many other new cars when the light turns green. [Disclaimer: Drover Rideshare does not endorse or condone drag racing, as it is illegal in (I think?) every state]. For a couple years, Honda made a Civic Hybrid. They apparently discontinued this model and are now launching a Hybrid Accord. Below are the stats, and see the above Accord description as, aside from the hybrid components, they will be the same car. The Accord Hybrid is new with the 2017 fleet. It will launch in select dealerships late this year (so now) and will be more widely available next year. As you probably expected, none of Honda's larger SUVs (the CR-V and the Pilot) or the Ridgeline truck make it into the 30mpg+ club yet. With that said, the CR-V and the Ridgeline get great gas mileage compared to other vehicles in their classes. 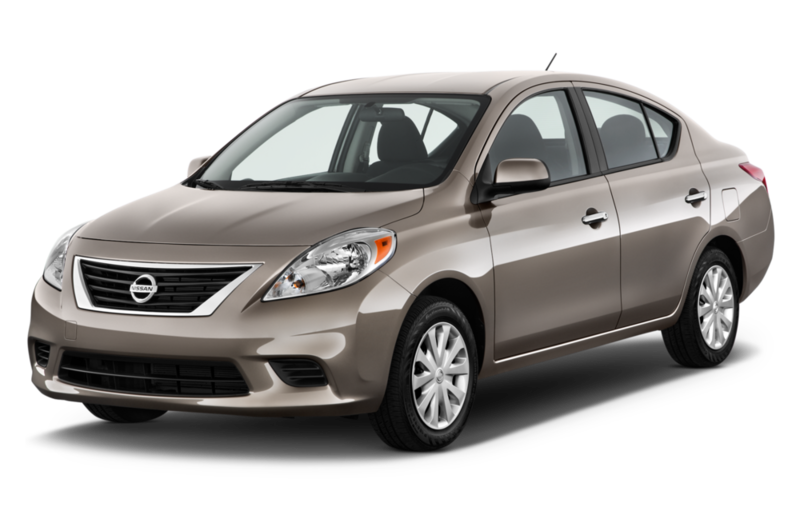 Available in both Sedan and Hatchback (the Versa Note) models, the Versa is Nissan's compact sedan. With its incredibly low base model price, the Versa is an attractive option for those with a tight budget. Moreover, its gas mileage is well qualified for entry into the 30+ MPG club. Though the Versa is small, owners can expect the reliability and decent performance that Nissan is known for. The Versa is not the car for you if you want power... it only has a 109hp 1.6L 4-cyl engine. However, that also means cheap gas station fill-ups. The Sentra is Nissan's small sedan, comparable to the Chevy Cruze, Honda Civic, and Toyota Corolla. The Sentra gets a little bit of an engine upgrade from the Versa, with either a 1.6L, 4cyl 124hp engine or a 1.8L, 4cyl 188hp option. The 188hp model has pretty good acceleration, given the power to size ratio. The Versa is not the car for you if you want power... it only has a 109hp 1.6L 4-cyl engine. However, that also means cheap gas station fill-ups. Upgraded models come with cool Nissan features such as blind spot warnings, forward emergency braking, and intelligent cruise control (keeps set distance between your car and the car in front of you). Nissan makes the third manufacturer we have looked at to deliver a mid-size sedan with a fuel economy of over 30mpg combined: the Nissan Altima. The Nissan Altima is essentially the Sentra but larger and with more luxurious features. Compare in size to the Chevy Malibu, Toyota Camry, and Honda Accord. The Altima is perhaps most famous right now for its continually variable transmission (CVT) which keeps the engine at a more consistent RPM, allowing the engine to burn fuel more efficiently over the course of the drive. The Altima is an interesting car. If you are a person who likes to feel the hum of the engine underneath your foot on the pedal, this is not the car for you. If you think a car is an over glorified horse-and-buggy designed to get you from point A to point B, then you won't mind the peculiar CVT and will greatly appreciate the fuel savings. Also, something to note, as I have driven the Altima before, the CVT models have two states of pedal depression... one where acceleration is average and you ask yourself, "Why am I not going faster? ", and another that comes when you depress the pedal more than 3/4 to the floor at which point the car's real acceleration kicks in. I think this feature is to help control fuel consumption in stop and go driving situations, like traffic or traffic lights. The Juke is Nissan's compact SUV. In my opinion, it is one of the least attractive and poorly styled cars on the market. With that said, there is clearly a small niche market for these funny looking vehicles. If you have high brand loyalty to Nissan, want a small car, but do not want to drive a sedan, I understand why you may want one of these. Just test drive it first, please. Fuel tank capacity ranges from 11.8gal to 13.2gal. The Juke also comes in a sport model called the Juke NISMO with 188hp @ 5,600 and something like 174lb-ft of torque... if you're into that sort of thing. Similar to the other manufacturers we have discussed so far, Nissan doesn't make a larger SUV, truck or van with over 30 combined mpg. Of specail note, however, is the Nissan Rogue which gets pretty close, with 33mpg on the highway. The Nissan Quest (minivan) gets 27mpg on the highway. Let's not talk about Nissan's truck MPG. This concludes Part 3 of this series. Part 4 will go up in December.